Export trade is one of the best business ideas in Bangladesh. Starting export business is challenging in Bangladesh. The export trade in Bangladesh faces many problems. If you can overcome these problems then you will be successful in Bangladesh. Here are some major problems of export trade in Bangladesh. A brief description of the problem is now given below. Therefore, we hope this article will help you to start an export trade in Bangladesh. At the first, inadequate exportable goods. 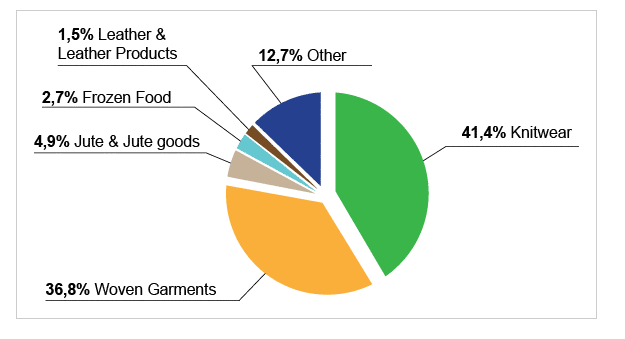 Bangladesh export trade mainly depends on some traditional goods like jute and jute goods, leather, shrimps, garments and other fishes etc. It’s exportable items being limited. Government and concerned authorities are emphasizing on traditional items. But the scope of the same as limited. So both exporters and Government should extensively work on it and scope must be widened. Exporters of Bangladesh have little experience in capturing outside market, convincing foreign buyers and availing fullest opportunities of the world compared to our competitors. Bangladesh forging Ambassadors and that Export promotion bureau reportedly failed to some extent in providing facilities to exports and help to capture world market. Export trade business is still a hot business for new Bangladesh Entrepreneurs. Export trade presupposes procuring goods through purchases or manufacturing. In both the case, huge capital is required which many experts cannot easily manage. Bank financing sometimes, reportedly found inadequate. As a result, provisions and facilities regarding export finance need to enchant. The export in Bangladesh faces severe competition. Here not only price but also the quality of product get prominence. There is allegation as to our products as being poor in quality and subject to adulteration. Moreover, to attract customers and maintain quality the importance of packing cannot be over emphasized. In this regard, we are reportedly far back than our competitor. There is an allegation that we have lost some foreign customers due to export trade of low-quality goods compared to samples sent earlier, misuses trust and sending adulated items. In the next, there is also allegation as a weight and measurement corruption done by a few, but general conception goes to the shoulder of all the exporters. Red tape and unfriendly bureaucracy is a common problem in Bangladesh in export trade. Export trade is not free from it. Exporters allege that the complex formalities, the demand of speed money by some concerned offices and time-consuming procedure discourage them to go for export business. Transport system far from the satisfactory stage in export trade business in Bangladesh. Transport cost is higher, there are problems of hartal and strike and lack of vehicles, wagons etc. Ware house facilities are also inadequate. As the reasons, exporters face problems both to transport and ware housing goods. The next problem is political instability. For trade in general and export in particular political stability in relevant of the favorable environment. Another problem is the lack of sales promotion abroad and in adequate market information.